The UK keyboard layouts for the TouchBar MacBook Pro's have a pretty useless §/± key at the top left that would be a perfect to use as a physical escape key (see this image). macOS has a keyboard mapping system (/Library/Keyboard Layouts/ - eg. see http://www.gingerbeardman.com/UK.keylayout/ and https://developer.apple.com/library/content/technotes/tn2056/_index.html ) that allows keys to be changed around. Googling I've not found anyone mentioning they've done this, which seems odd to me. Is there some reason this wouldn't work? 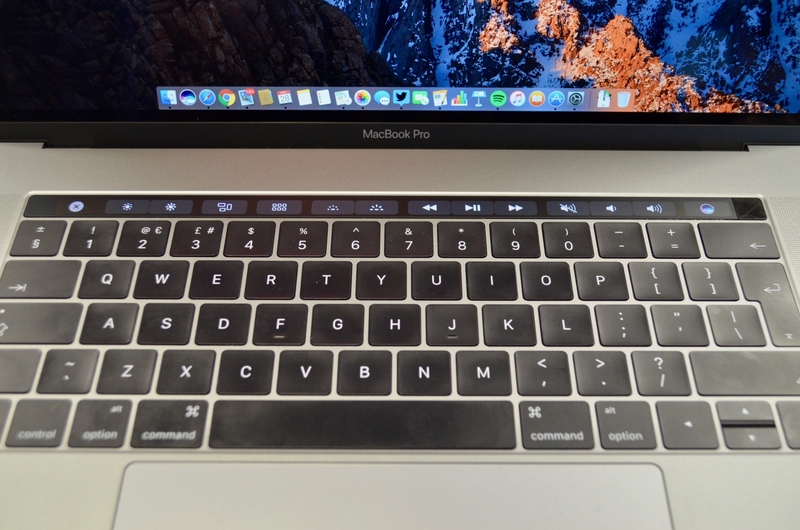 Can the TouchBar keyboard be remapped with a .keylayout file without losing any functionality? I've been holding off buying a new macbook pro because of fear of losing the physical escape key! I know you can remap ctrl/cmd/etc to be Escape using System Preferences, but that seems like a poor solution in comparison. 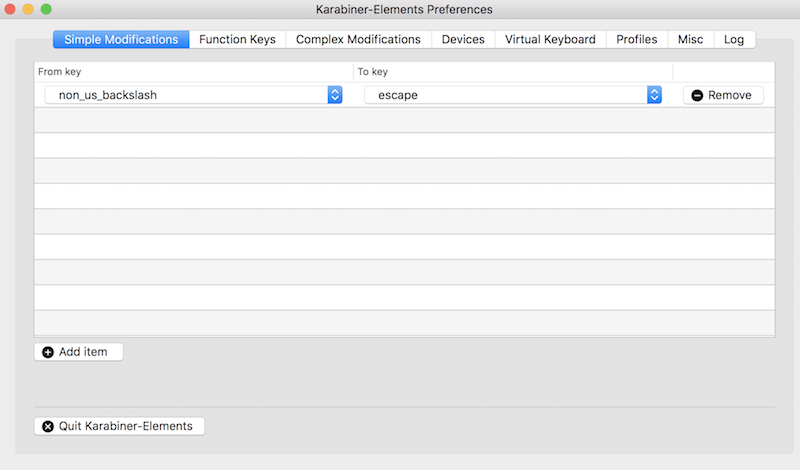 In "Simple Modifications" tab create a mapping "non-us-backlash" to "escape"
Open System Preferences - select keyboard. Then select Modifier Keys... towards the bottom right of the window. I have escape assigned to the caps lock key. I agree using the control keys for escape is poor, but the caps lock key works very well. In practice, I've not really had any issue learning to use the soft escape key. Having caps lock is far faster once I got used to it due to decreased travel distance from the home row. 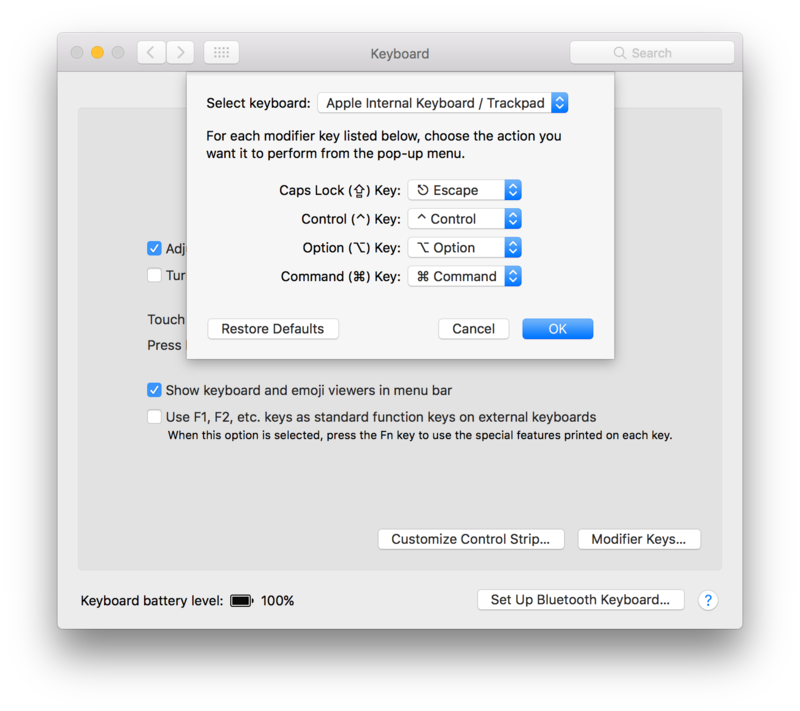 I found some documentation on Remapping Keys in macOS 10.12 Sierra that works without any third party tools. To change the key just above tab, set src to 0x64 (Keyboard Non-US \ and |) and dst to 0x29 (Escape). These values should be OR'd with 0x700000000 in the call to hidutil for some reason. You could put this in a LaunchAgent (~/Library/LaunchAgents/give.me.esc.key.plist) to have it set every time you log in. Not the answer you're looking for? Browse other questions tagged macos macbook keyboard keybindings touch-bar . MacBook Pro with TouchBar - Compatibility with Ubuntu?